This year’s Apple iOS Developer Program (July 2012 to July 2013) is proudly supported by The Buddhist Library, Kong Meng San Phor Kark See Monastery and Metta Welfare Association. 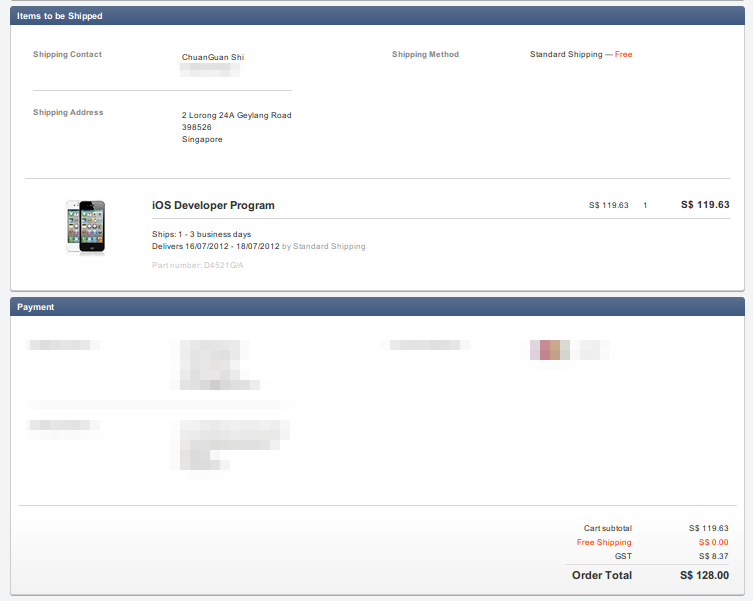 Through their support, I’m able to continue to write and update the Buddha Vacana app on Apple iOS phones and tablets. What is Buddha Vacana app? Buddha Vacana is a daily readings app that automatically bring a verse of the Buddha’s teachings to you daily on your Apple iPhone, iPad, iTouch, facebook, PC and other supported devices. This app is provided free for the benefit of all sentient beings, so please use it, share it and give your feedback and comments to improve it! ‘Buddha Vacana’ means the Words of the Buddha. It started off with the set of verses from the book Buddha Vacana: Sacred Literature of Buddhism and now offers other books for download. No gooosie, apple, orange or avocado was harmed during the development of this app! * 365 verses from the Pali Canon and post-canonical Buddhist texts. How can I support this App? support. You can support this app in many ways too! 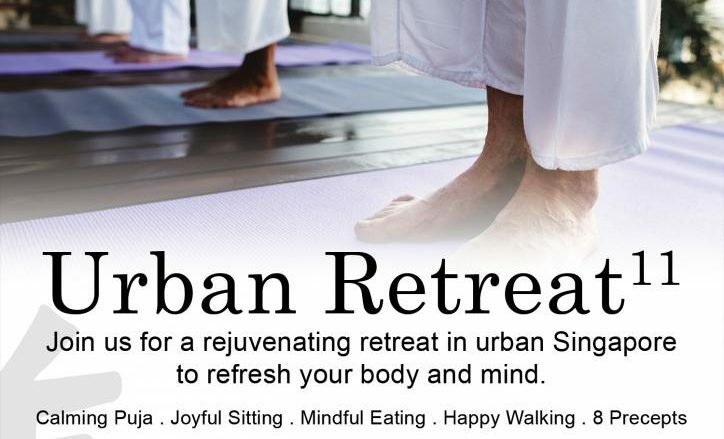 Support the Sangha in their cultivation and practices wherever you are. Provide them with the basic requisites. Support the Buddhist community. Attend puja services at Buddhist centres or temples. Support Dharma work by the Sangha and Buddhist temples and monasteries through volunteering your time and through sponsorship where possible. And the most direct way to support this app is to download it onto your Apple iPhone or iPad and use it! Read, reflect on the Buddha’s teachings. Discuss and share with your friends. This is the best way to honour the Buddha! Try out the teachings in your life. Practise the Dharma. Inspire your friends and family to learn the Dharma! The Gift of Dharma excels all gifts! Be Good, be Mindful, be Happy! In the software industry that I came from, there’s an expression “Eat Your own Dog Food!”. It means “Use the apps that you write”. This made a lot of sense in that only when a developer use their own apps, do they perhaps know the pain or joy of using it as a user. In organisations and societies, this statement is quite apt too. If one organises events but do not take part in them, how would you know how well it was? How would you learn from it or benefit from it? Beyond benefitting from it, it is also essential for other reasons. When we organise events for others without benefitting from them personally, then it is easy for our motivation to be pegged to the turn out of the event. We start to feel disheartened if the turn out is low or be elated if there are thousands. So, Eat Your own Dog Food! 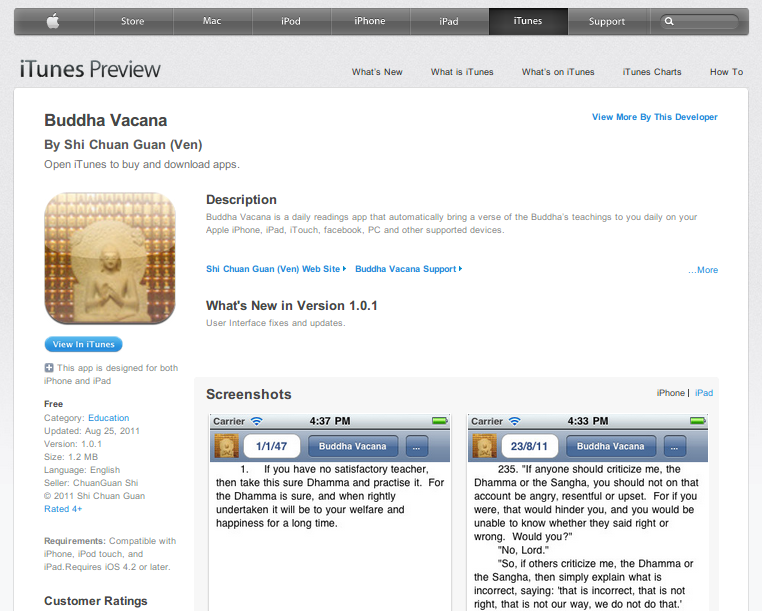 Buddha Vacana app on Apple AppStore … coming soon.